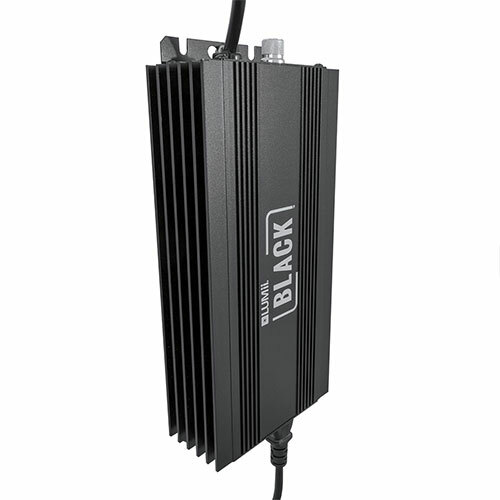 "NO NEED TO CHANGE THE 600w BULB ON ANY SETTING"
LUMii BLACK Digital Ballast is not the same as any ordinary dimmable ballasts. This software controlled, variable output ballast has been specially designed to give the most selective growers the ultimate versatility and performance from a single lighting system. This super cool, super-efficient, fully adjustable digital ballast will run 660W (super lumen) 600w, 400w and 250w settings and features "Super Lumen Technology" that increases the ballasts output for maximum lamp performance, giving you Monster Yields! Reduce the output of your lamp when not so much power is needed. For example, running the 600w lamp you can reduce the output to 250w, 400w or boost it to Super Lumen 660w. Boost the output of your lamp using "Super Lumen" feature. 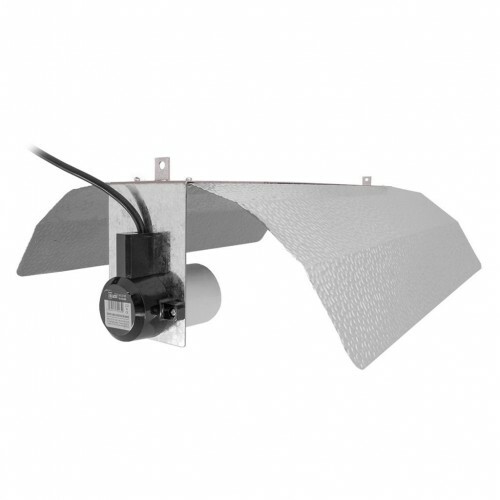 This allows the output of the ballast highest rated lamp (600w) to be increased by approximately 10% delivering maximum lamp performance. 30% more efficient than standard magnetic ballasts. This dual spectrum grow lamp is just one of the many amazing products from Sunmaster/Venture Lighting. Similar to the Phillips 600W Son-T plus 95.00 lumen lamps, this revolutionary product not only gives off a red light, it also provides an additional blue spectrum eliminate the need for 2 separate systems. This amazing lighting system is designed to be used continuously through both the vegetative and flowering cycles. Dual spectrum lights are rapidly becoming the most popular choice among both private and commercial growers as these lighting systems work throughout their growth cycle. There have been nothing but raving reviews from both experienced and new gardeners. All Sunmaster grow lights are specifically designed for gardening environments and are extremely user-friendly as well as highly economical. Sunmaster Dual Spectrum Grow Lights are tailored to have an output of 90.000 lumens and have a superior active radiation range during all stages of photosynthesis and growth. Not only are these amazing bulbs extremely affordable, they are also economical. Their superior design will reduce your energy costs and they are environmentally friendly, which is a growing concern in today’s eco-friendly and health-conscious society. 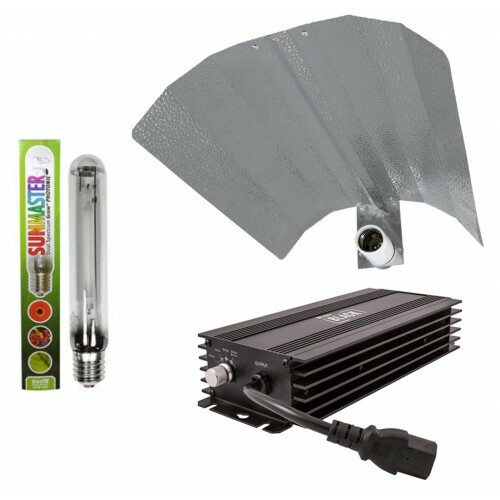 With 10% more light than similar products, these high quality lamps will help give your plants a rapid start during the photosynthesis stage and will stimulate healthy and rapid growth and development through the entire vegetative cycle. 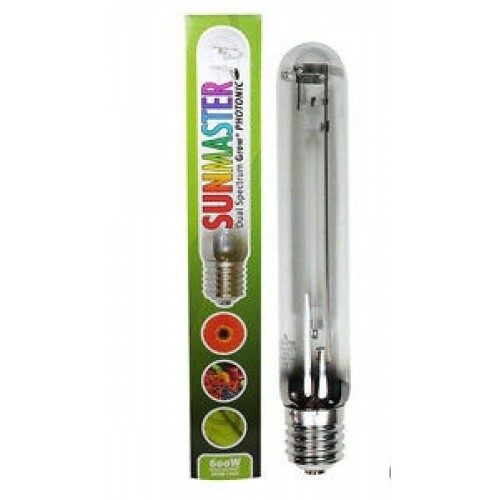 Sunmaster Dual Spectrum Grow Lamps are superior but like any lighting product, performance tends to decrease over time. You should replace your lamp systems every 9 to 12 months to maintain a healthy and bountiful harvest. The LUMii BLACK reflector boasts dimpled wings for excellent reflectivity, light dispersion and the reduction of hot-spots. It includes 2 convenient tabs on the top for easy hanging as well as a 4m IEC cord. The LUMii BLACK Reflector is designed for use with any horizontally mounted HPS or MH lamp up to and including 600W.